The Unmanned Aircraft Systems (UAS) industry is growing before our eyes in ways that will affect many of our lives and at a speed that will challenge our expectations. 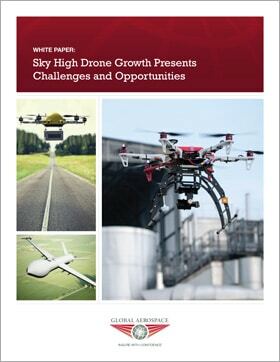 Developing a drone program in any size enterprise will involve investment and risk. Global Aerospace works with a significant number of companies to help them understand best practices and safely utilize this incredible technology, in a way that will foster long-term success. New regulations in the industry brings new opportunities, but what are the failure points? What is the UAS insurance market doing to keep up with the growth? Are companies better off developing their own UAS program or calling in an established operator to perform the flights?